Let’s Celebrate the festival of colours! Revel in goodness of festival at Rang de Holi to shake your legs to tune of best DJ of Town at Rain Dance with organic colour. 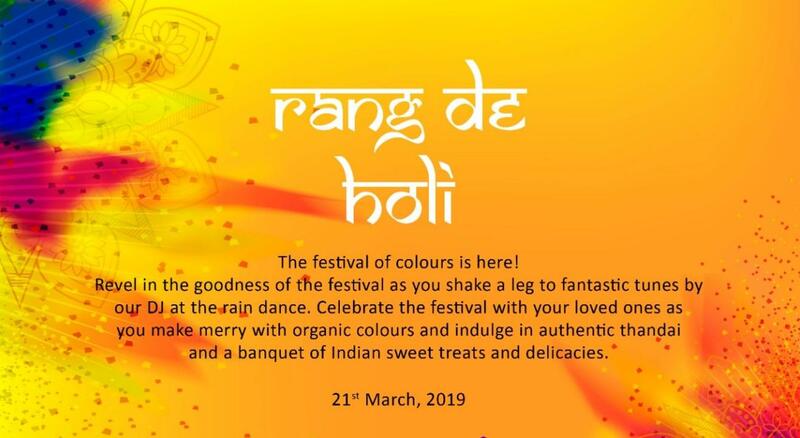 Let’s celebrate the festival of colour with loved once at most happening & safe 5 Star Hotel of Central Bangalore, lets indulge in Authentic Thandai, Indian Savory and delicious Indian sweet.